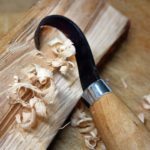 Having already reviewed the locked blade whittling knife by Flexcut, I thought it’d be a good idea to go over the folding Flexcut Whittlin Jack knife since it, much like the fixed blade, is a good alternative for a beginning wood carver. With over 50 customer reviews and a 4.8 out of 5 star rating, it definitely deserves its reputable credibility. 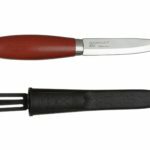 This flexcut whittlin jack sitting at 3 ounces is especially unique with it’s aluminum frame and veneer inlay stretching 4″ from base to top that shields 2 blades: a 1-1/2″ detail knife and a 2″ roughing knife. Very sharp – After looking at the comfortable structure of the handle itself, I moved into the sharpness and edge retention of the blade. Right out of the box it is scary sharp and honestly unless you chip this blade, you’ll only really need is stropping compound to keep this sucker wicked sharp. 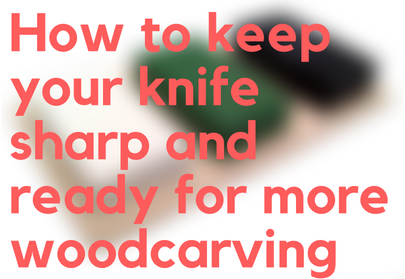 With a roughing knife that’s approximately 2″ and a detail knife at 1-1/2″ any carver would admit to its convenience. 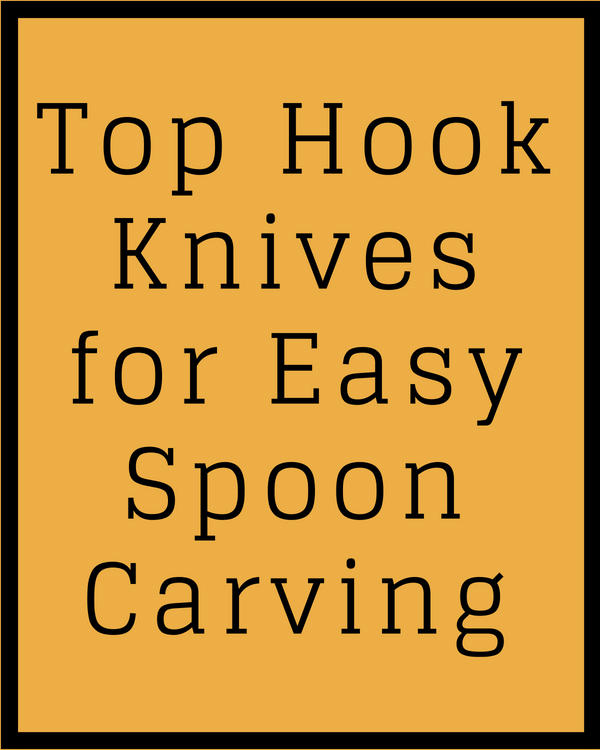 Ideal handle shape – From tip to tip, when closed, the aluminum handle is 4″ making it very easy to carry around in a pocket or not take up much room in a bag. 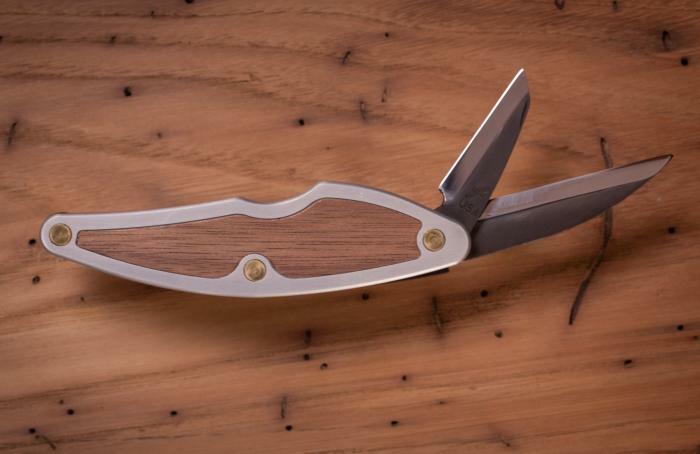 The added design with the veneer inlay is a nice touch on top of the fact that the slight bow structure of the knife creates a comfortable hold for extended carving periods. 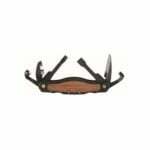 Lightweight – Weighing in at just 3 ounces anyone can see that this product is meant to be carried around with you for outdoor wood carving endeavors. 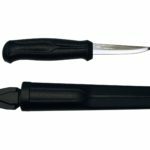 Long edge retention – I enjoyed this quality since getting out sharpening tools can be tedious and even more so if it takes more time than usual to sharpen your tools. 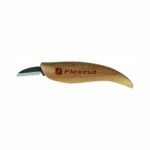 That’s not that case with this whittling jack, although I will recommend using the Flexcut Gold stropping compound to keep it sharp every 30 minutes of carving. After inspecting the handle I tried opening the blade from the handle and noticed it was a little more difficult to open them due to the shallow nail nicks in the blade itself. Although this isn’t the worse news, it can be rather irritating or tedious to open them up. So after getting them open and making a few clean cuts with the razor sharp edge, I was disappointed to find out the blades don’t lock. If you’ve never used a knife where the blade doesn’t lock, it can be hazardous if making controlled cuts isn’t something of a focus for you. Pay attention to the way you are carving or you will cut yourself with this knife. How do I sharpen my Flexcut Whittlin Jack? I recommend using the Flexcut Gold stropping compound after every 30 minutes of carving to maintain its sharp edge indefinitely, no need for any more sharpening tools other than that unless you chip your blade. 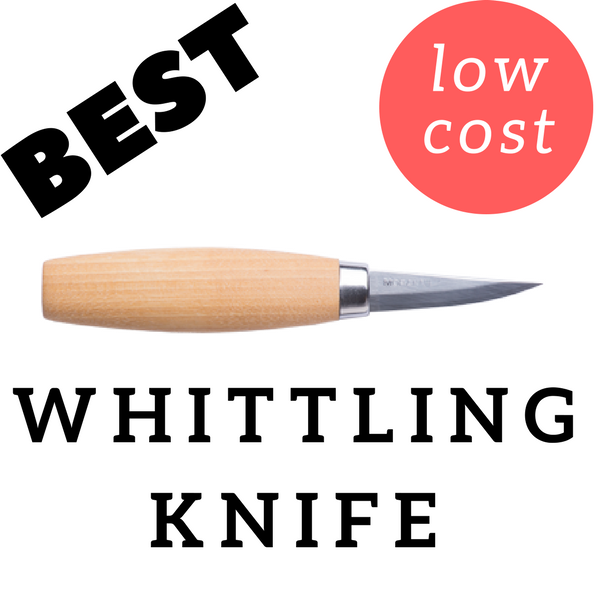 I’d recommend this knife if you’re searching for a folding knife for mild to intermediate wood carving tasks and if you’re looking to throw it in your pocket until you see some wood you want to carve. 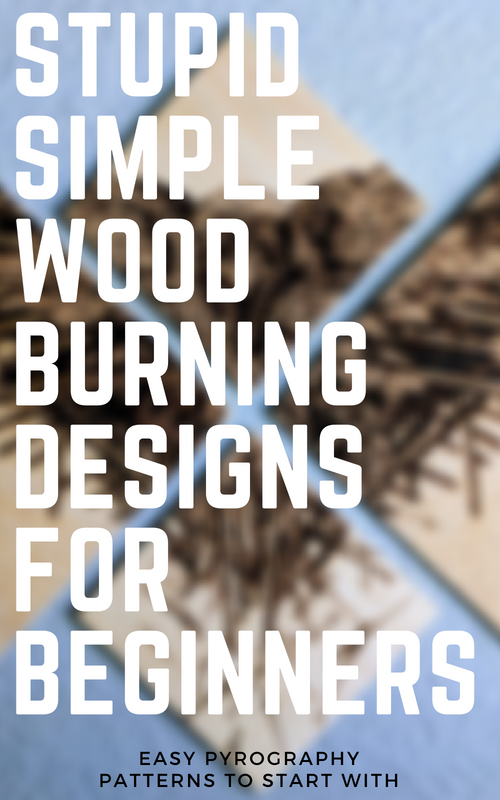 Otherwise, if your project require something with more than just a roughing and detail knife then I would probably buy a carvers kit or separate locked blade whittling knives.